Heat cream just to a boil in a heavy saucepan. Place chocolate chips and espresso powder in a medium-size mixing bowl. Pour hot cream over chocolate mixture and stir until chocolate has melted and is well blended with the cream; beat until thick. Place in refrigerator at least 2 hours, or overnight. Form small balls from batter, using a melon baller or 2 teaspoons, and drop onto parchment or waxed paper. Place in refrigerator to firm (at least 20 minutes). 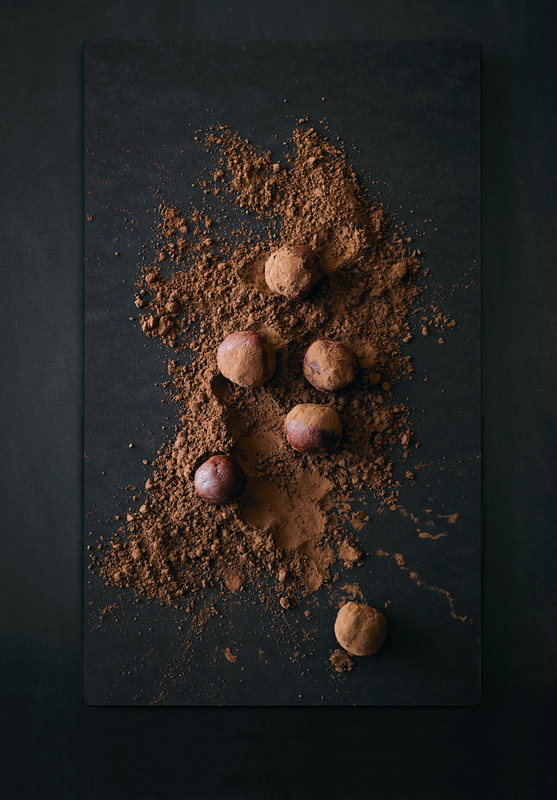 Roll each ball in cocoa powder and then in chopped nuts, if desired. Refrigerate until ready to serve. Makes about 1½ pounds.